What is a Gobo? "Goes Before Optics"
A plate that has been cut in such a way that when it is attached to a lighting set up will project a pattern or image onto a surface. Gobo "Goes Before Optics". 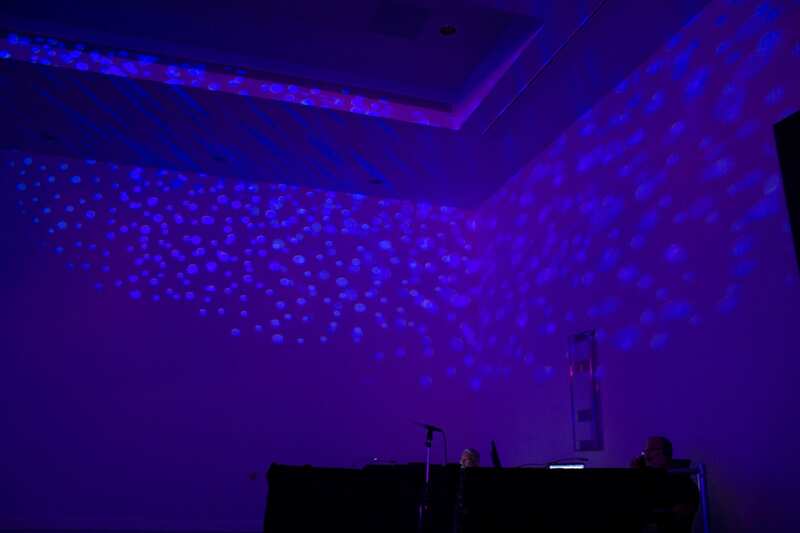 Additional Information: Gobo is usually designed to display a message or logo of a company onto a flat surface such as the ground, wall or ceiling at an event.